Google is everywhere. It’s the world’s biggest search engine, the most popular phone operating system, the most popular web browser, an incredibly popular e-mail service, and a thousand other things. That means it knows a lot about you, especially if you you log in to a Google account and sync or unify your profile about services. Seeing exactly how much it is they know about you, and how it’s used… well, that’s been a little harder. Until now. Google, like Facebook before it, is opening up another wave of personalized ad services. Rather than just using cookies (now woefully old-fashioned, in internet years) to decide what to display you, Google will use a wealth of behavioral information it’s gleaned about you internet-wide to show you stuff on non-Google sites. Here’s the good news: unlike the competition, Google is making their service opt-in. That means that by default, you are not participating. You have to deliberately go and move a setting for your data to be used in this way. Google’s ad settings page now comprises two different pages: signed-in ads and signed-out ads. You can control each independently. 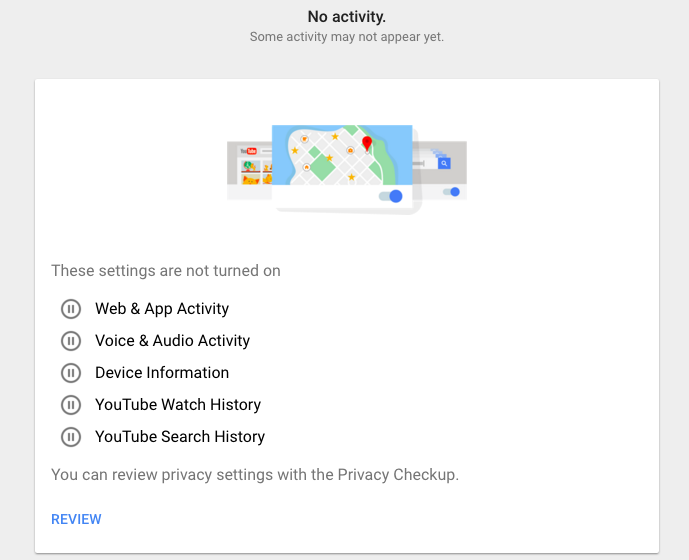 Additionally, Google is launching an activity-tracking clearinghouse page called my activity. The page shows you several different sets of tracked data Google has on you, and lets you review each individually. If you already have everything disabled, your activity page looks like this. The My Activity page contains a link at the bottom to direct you to your privacy settings for all of those categories should you wish to change or disable any. The privacy checkup methodically takes you through all Google services, starting with Google+ and your public profile. 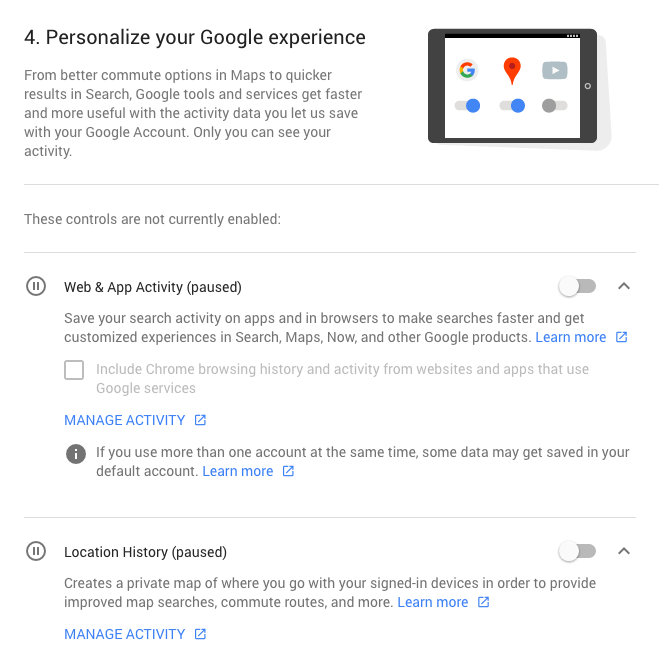 Collection of other data is under section 4, “Personalize your Google experience.” You can enable or disable Google’s activity trackers here. That said, opting out for privacy’s sake does come with a price: being able to sync your browser bookmarks across platforms, or using proximity-based and map-based features on an Android phone, is convenient — and when you opt out of data tracking, by default, you’re also opting out of using certain kinds of apps and services. Still, it’s a fairly granular level of control, so any Google user — i.e. everyone on the internet — can choose what’s best for their needs. can you google me now?